Extrusion Applications - Techmaster Inc.
We understand your concepts. We will help you select the most cost effective & commonly stocked components. Let us help you optimize your framing design. 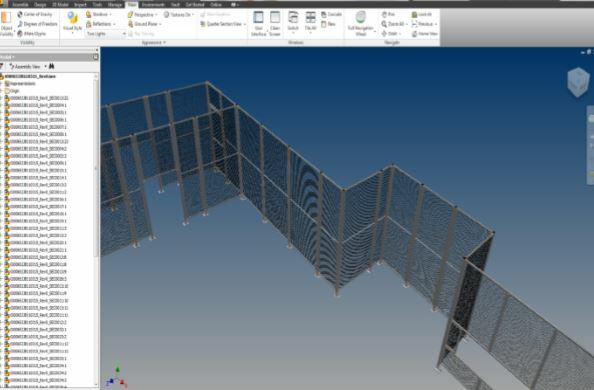 We use 3D software: Every project we design and quote is drawn in 3D CAD software by a structural framing expert. 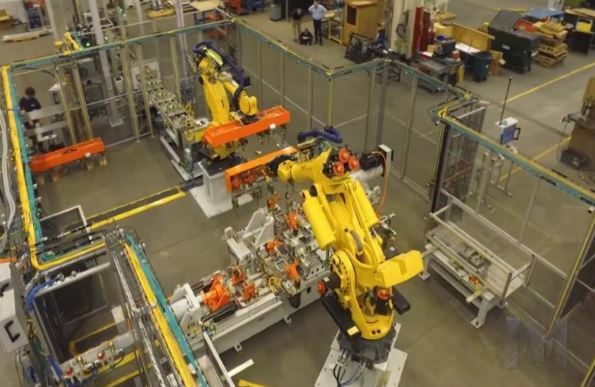 Your concept is completed before any assembly and production begins. Drawings Files: For customers that wish to design a solution using their own software we can supply 2D or 3D drawing files. Call us for design assistance. 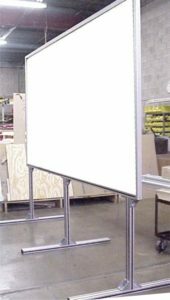 Experts at building and packaging: We are expert builders that take packaging very seriously. 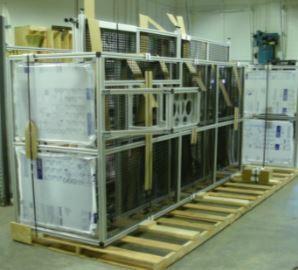 We have years of experience in packaging large projects correctly for shipping across long distances. 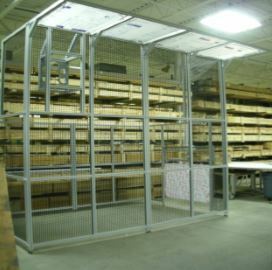 Fully Assembled solutions: We can help you design and build any framing solution you need today. 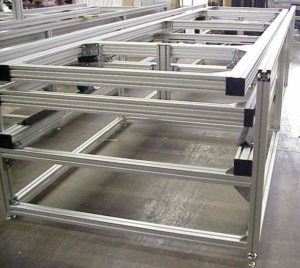 We are aluminum structural framing experts. 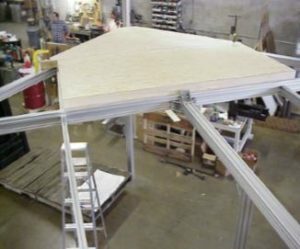 We can help you design and build anything. This two story trade show structure was designed to support up to 20 visitors on the upper deck. Prior to construction the design was stamped by a licensed architect to verify the design exceeded safety requirements. We are aluminum structural framing experts call us today. 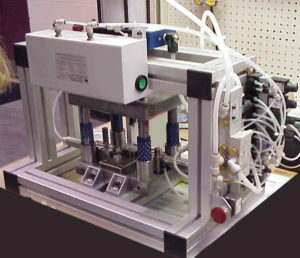 This air logic press was a great application for extrusion. Although a very simple application it shows that extrusion is the most appropriate and cost effective material for this press. 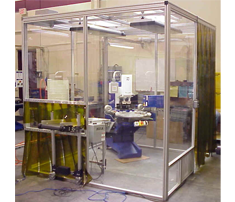 This is a custom clean room made from 45×45 extrusion and Plexiglas panels. The use of extrusion in this application allowed the customer to build an ISO 14644-1-7 cost effective clean room. 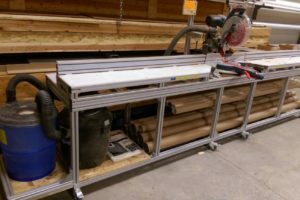 Extrusions were the best choice for this adjustable cut-off saw. Designed to be portable and sturdy.